So you know that you want to do something more with your yard but are not sure what; you want to be able to transform your Fayetteville yard from ordinary to extraordinary. In fact, you may not really have a yard at all but a work in progress with hope for potential. So you are considering making the smart move to working with a professional for landscaping design services. Before committing, there are a few things you should know about. One of the first things homeowners want to know is why they need a professional – isn’t this something that you can figure out on your own by reading a few articles online? The truth of the matter is there is a huge difference between well put together landscaping and adding a few potted plants for your local home improvement store. 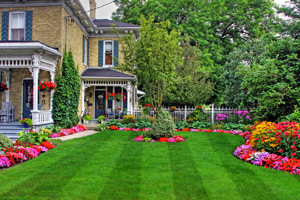 A landscaping professional has to know a great deal about factors that you may not even realize that you need to consider. For one thing, you have to understand soil, shade and other environmental factors. The problem is that DIYers end up spending a small fortune on plants and flowers that won’t work for your unique plot of land. Also, you need to work with a professional in order to have a cohesive design and layout instead of a haphazard one that neglects to put items together that work and make sense. Like your interior design, you are likely to have a theme that you want to stick with; it could be natural with stones or more modern and glam with sculptures and a waterfall. Whatever the case may be, you are going to want to have a style plan and make choices that compliment that. When you work with a seasoned pro, you can rest assured that you will get this level of service work. 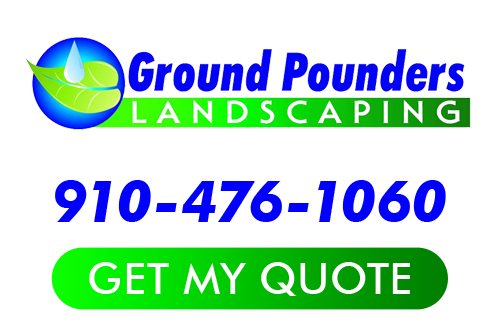 By making the wise decision to work with the team here at Ground Pounders Landscaping, you can feel certain that you are going to get the the finest in quality results. With a decade of hands on expertise backing us up, we have the training, skills and experience to complete the job for you. Give us a call today and let’s get started with your project. When it comes to Fayetteville landscaping design work, let us show you what we have in store for you. You are sure to love the work that we do. Find out for yourself how we have earned the impeccable reputation that we have. If you are looking for a Fayetteville Landscaper then please call 910-476-1060 or complete our online request form.